Last Updated: July 25, 2018 | Subscribe to our weekly newsletter! If you’ve been limiting your swim time to daylight hours, you’ve been missing out on half the fun of owning a pool. But no one wants to swim in a pitch dark pool. Who knows what may be lurking in the deep end? Adding a light-emitting diode (LED) pool light or two (or ten) will let you brighten up the night and have twice the fun. And ward off swamp monsters looking for new homes. 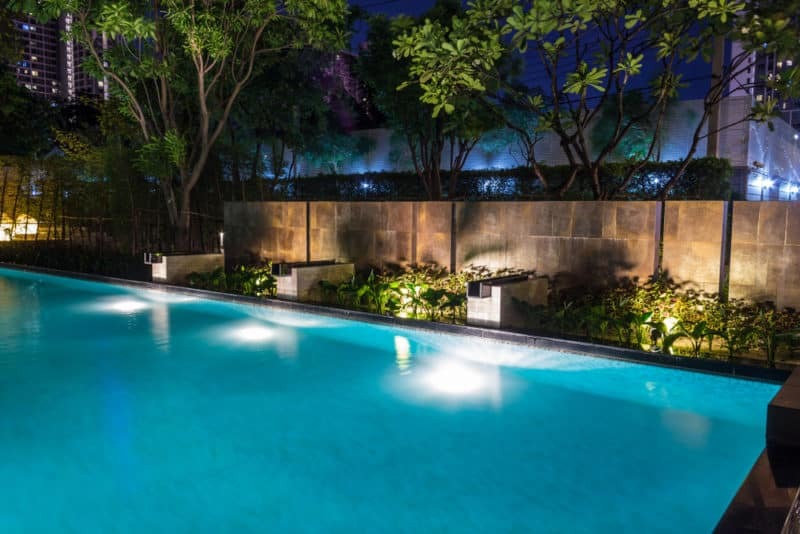 Upgrading to LED pool lights will also allow you to gain a few benefits you might not’ve considered, including how much money you’ll save compared to traditional illumination. Plus, it’s easy and fun. Taste the rainbow of options available, and enjoy your swim even after the sun’s done for the day. 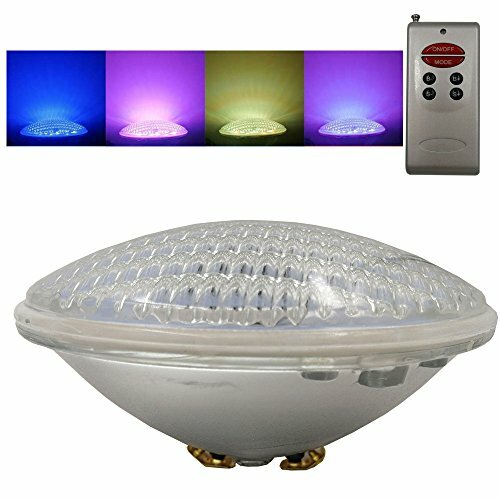 How Does an LED Pool Light Work? Unlike humans or coach seats on a crowded flight, not all bulbs are created equal. Understanding how an LED pool light is superior to an incandescent bulb requires learning some new terminology and—brace yourselves—a bit of math. It’s not all about the savings or the efficiency, though. Making the switch also gives you high-tech aesthetic and control options old-school lighting just can’t match. All bulbs use energy to produce light. This usage is called wattage, and is the traditional way to rate a bulb’s overall efficiency, since it’s tied directly to energy cost. A 100-watt incandescent bulb, for example, uses electricity flowing through an interior filament to produce light, and more than a little heat. It uses 100 watts of energy for every hour it’s on. Multiply this by the wattage rate your energy provider charges, and you’ll know how much leaving that light on costs you. Making wattage the biggest factor in choosing a bulb means you might’ve been keeping your pool a little dimmer than you’d like, or skipped lighting altogether in order to save money. LED pool lights changed the game. LEDs have no filament, and are in effect tiny, light-throwing semiconductors. Electrical current passes through a microchip, which illuminates the LED. They have built-in heat sinks to keep them cool, while also enhancing their brightness and useful life. Increases in energy efficiency mean that wattage has become less important than how much light a bulb actually provides. Visible light produced by a bulb is measured in lumens. Folks who design lighting for a living get pretty nerdy about the nitty-gritty of how lumens affect perceived brightness, or how bright a specific light appears to the naked eye. But for those of us outside the lab, the lumens produced by a light source can be roughly equated to the familiar standards for old-school incandescent lamps. That 100-watt light bulb throws between 1,400 and 1,750 lumens, while a smaller, dimmer 40-watt bulb produces only 450 lumens. 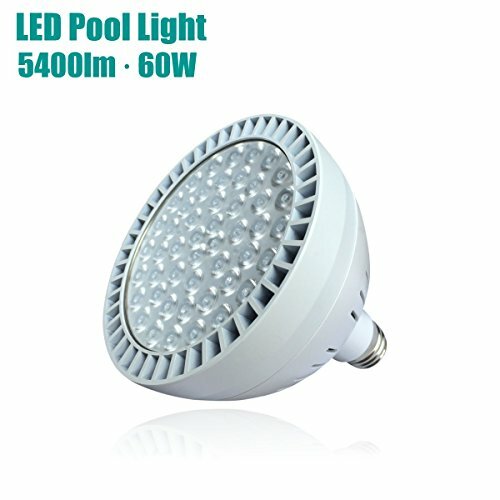 An LED pool light that throws the same 1,400–1,750 lumens as our friend the 100-watt incandescent bulb may use only 14–20 watts. 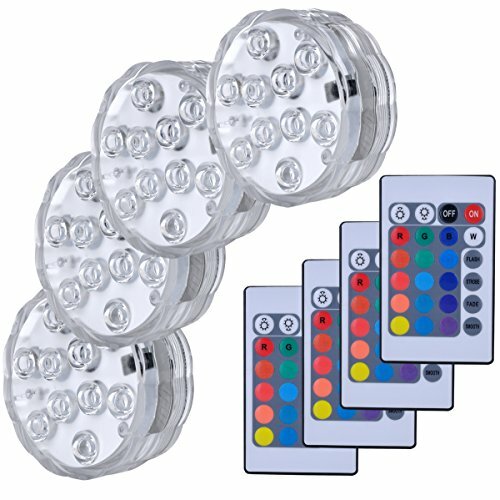 Some LED lights can even provide as much as 5,400 lumens If you click this link and make a purchase, we earn a commission at no additional cost to you. .
Because of the lower wattage, an LED pool light uses a fraction of the power of a comparable incandescent bulb. The lower energy use per bulb and built-in heat sinks produce brighter light If you click this link and make a purchase, we earn a commission at no additional cost to you. than might be safely possible with incandescents. A 30-watt LED pool light can produce the same brightness as a 200-watt incandescent bulb, without the high energy usage or the potentially dangerous heat. The reduced heat also means the LED will last longer than an incandescent bulb, and reduces the need for frequent gasket maintenance. Who wants to look like their driver’s license photo while they’re taking a dip? The jaundiced glow of an incandescent light might be perfect for a cozy evening curled up with a book, but we’re trying to set a mood, man. 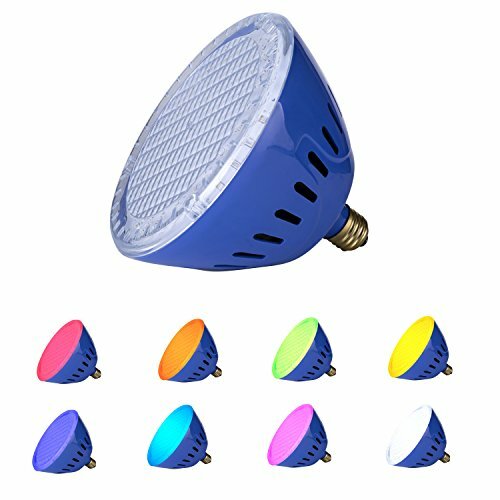 LED pool lights are available in a rainbow of colors. Some lights pair with apps If you click this link and make a purchase, we earn a commission at no additional cost to you. that let you customize your color scheme with a few taps. Others might use snap-on light filters for a quick change. Throwing a July 4th party? Swim in the colors of freedom, baby: red, white, and blue. Decorating for Christmas? Deck those walls with red and holly, fa-la-la-la-la, la-la-la-la. Got company for Labor Day? Finally, a chance for plain ol’ white lights to shine. And if you’re lucky enough to live where you can swim during the Super Bowl, let your team colors If you click this link and make a purchase, we earn a commission at no additional cost to you. light up the night. Maybe get a kiddie pool ready for salty fans of the opposition, though. You don’t have to limit your colorful adventures to special occasions. Every pool looks more inviting with a rich aquamarine colorscape, but if you want to dive into purple or vermillion waters on the daily, go for it. When you lay out your hard-earned dough for a pool upgrade, you want it to last, whether it’s a new pool filter or that DIY dolphins ‘n’ rainbows floor mural you’ve been contemplating. So you’ll be pleased to learn that, like energy efficiency, longevity is one area where LED pool lights really shine. Your average incandescent light has a useful life of around a year. But an LED pool light producing the same amount of—or more—light, while using less energy, has a useful life of 15–20 years. Holy Methuselah, Batman! Owning a pool can cost you a pretty penny. In 2018, in the United States, pool maintenance cost an average of $190 per month. Why not save money every way you can? Thanks to a much lower average wattage, an LED pool light costs only pennies a day to operate, while an incandescent bulb can cost up to $1 a day. 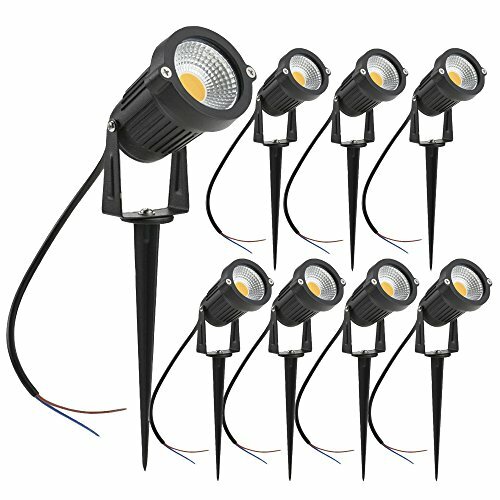 Think of each LED pool light as an investment. You’ll likely pay a bit more up front, but you’ll quickly recoup what you spend thanks to the energy savings. Don’t miss out on even more savings from rebates, either. Depending on where you live, your local or state government might offer cash rebates for upgrading to energy-efficient lighting. Check with your local utility. Aesthetics and economy make the LED pool light a pretty tempting upgrade by themselves. Add in greater safety for folks in and out of the pool, and you’ve got a must-buy. WHAT? Lights help people SEE? OK, we know, it’s not exactly news. 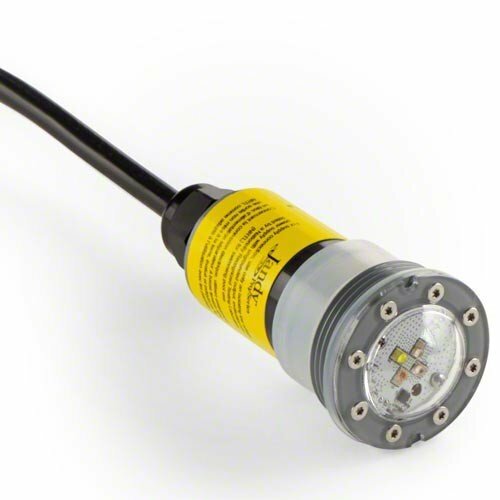 But what makes an LED pool light special is its higher frequency. Its light is perceived by the human eye as brighter and bluer than incandescent light. This can be a problem when LEDs are used in streetlights, for example. But in your pool, this means you can get adequate illumination with fewer lights. 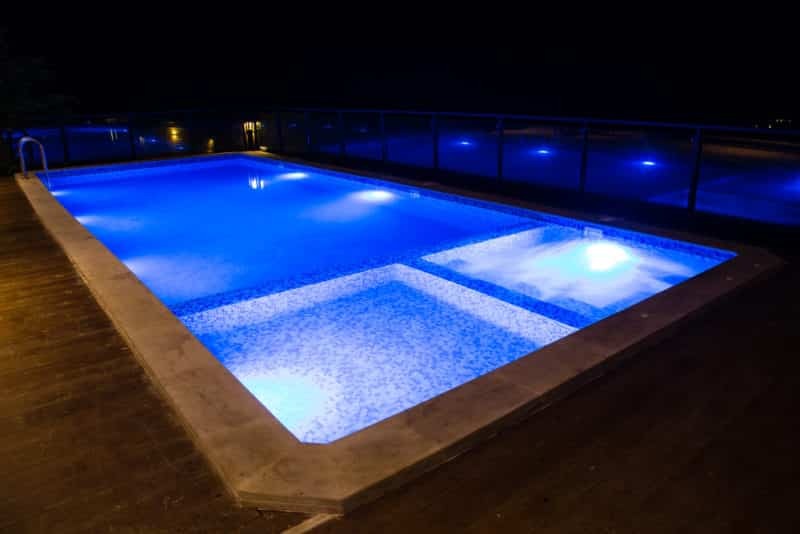 Don’t forget to add some external LED illumination as part of your pool’s landscaping If you click this link and make a purchase, we earn a commission at no additional cost to you. . If your pool’s lit like a supernova, but the rest of your yard is dark, people outside the pool might have trouble seeing where they’re going. Strike a balance and keep things aesthetically pleasing and safe. Pulling out existing incandescent lights and replacing them with LED pool lights can be quite a chore. 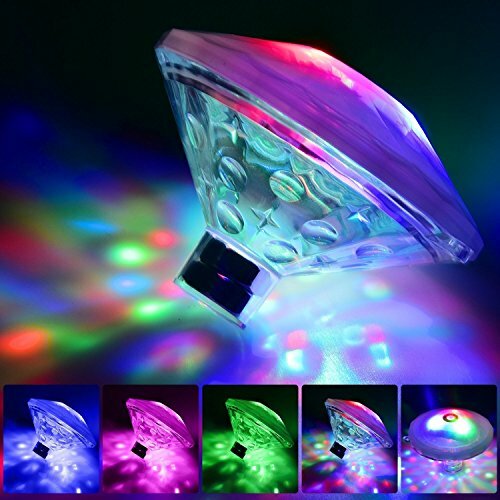 So if you’re on the fence and want to make a test run, consider battery-operated, floating LEDs If you click this link and make a purchase, we earn a commission at no additional cost to you. .
You can add as many as you like to get an idea of what your pool will look like in the new rainbow realm of joy that awaits you. 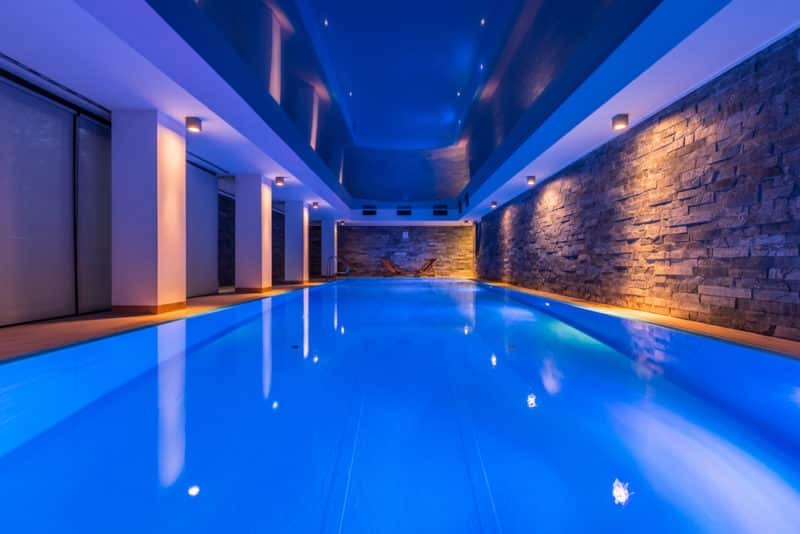 An LED pool light or three might be a small purchase in the grand scheme of your swim. But with their versatility, durability, and efficiency, they offer a large return on that minimal investment. LEDs are, we think, the clear choice for lighting up your pool, helping you save money, and just having more fun. Step out of the shadows and make the night part of your poolside bliss. Next time you buy pool supplies, throw in a few fun pool accessories. Choose some with function, and you can easily justify them as being "necessary." You're not ready for pool season until you've made it safe. A pool fence can prevent tragedies by keeping kids, pets, and wildlife out of the pool area. The wrong diving board can injure your family or cost you a pretty penny in fines. Learn how to choose a fun, safe one without breaking codes...or bones. Do you have everything you need to take care of your pool? If you don't have these few essentials, your pool maintenance is a lot harder than it has to be. You're not using a step stool to get in and out of your pool, are you? Get a sturdy above ground pool ladder, and put everyone's mind at ease.